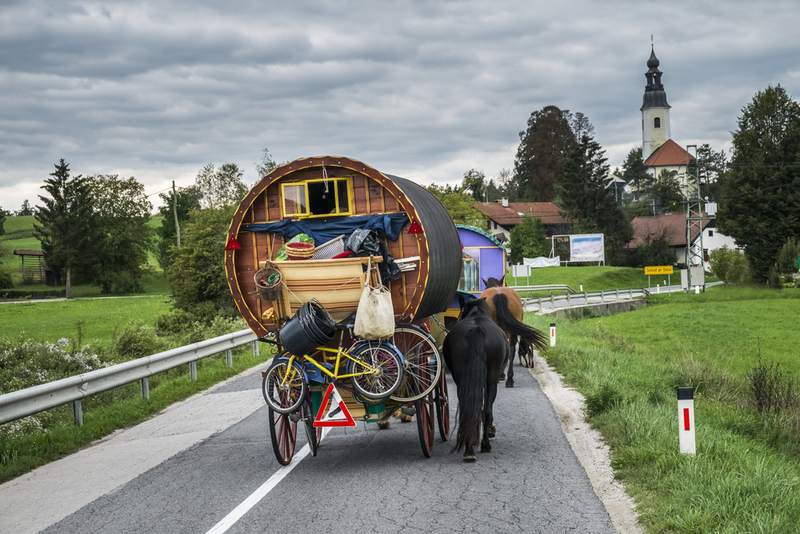 The Romanis call their wagons vardo, originating from the Ossetic word “vurdon” for cart. 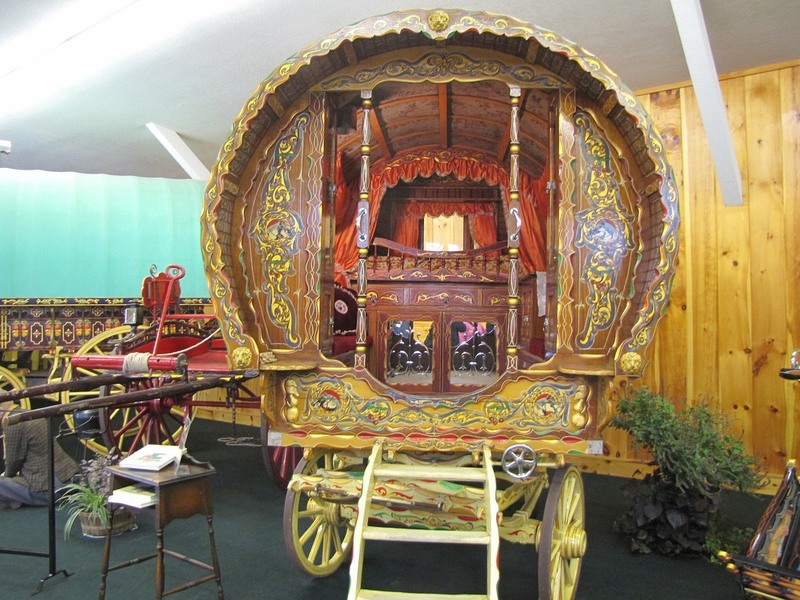 They are smaller than the larger transport wagons the circus troupes used, and thus required fewer horses to pull. 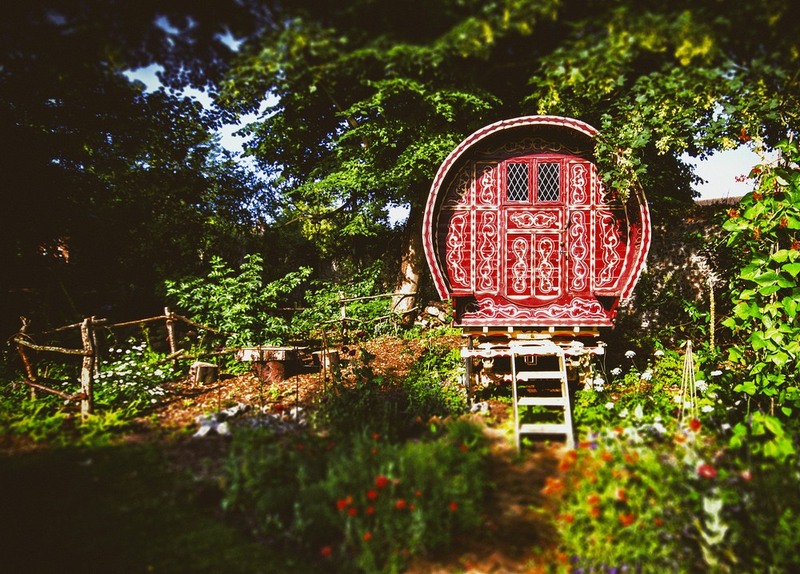 They are often highly decorated, intricately carved, and brightly painted. Some are even gilded. 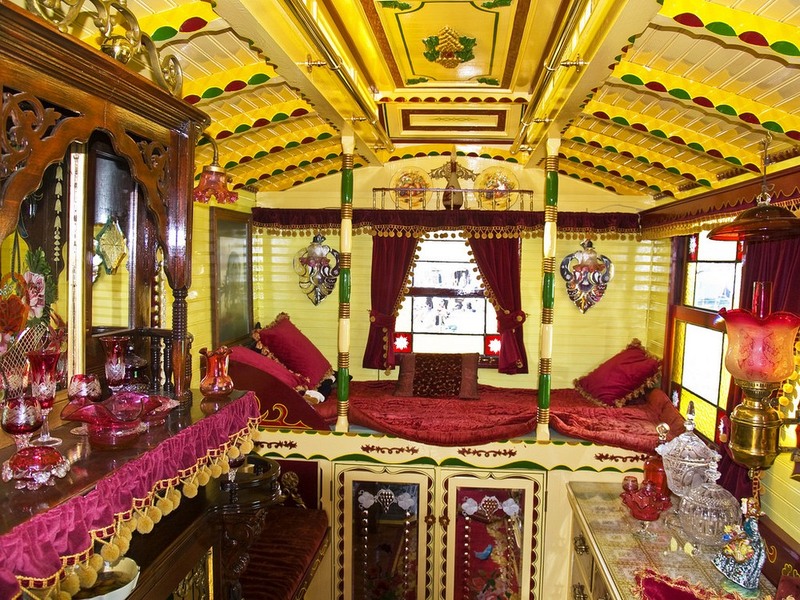 The Gypsies took great pride in their homes on wheels, but as the vardo evolved and became more ornate, they became more a showpiece than practical sleeping quarters. 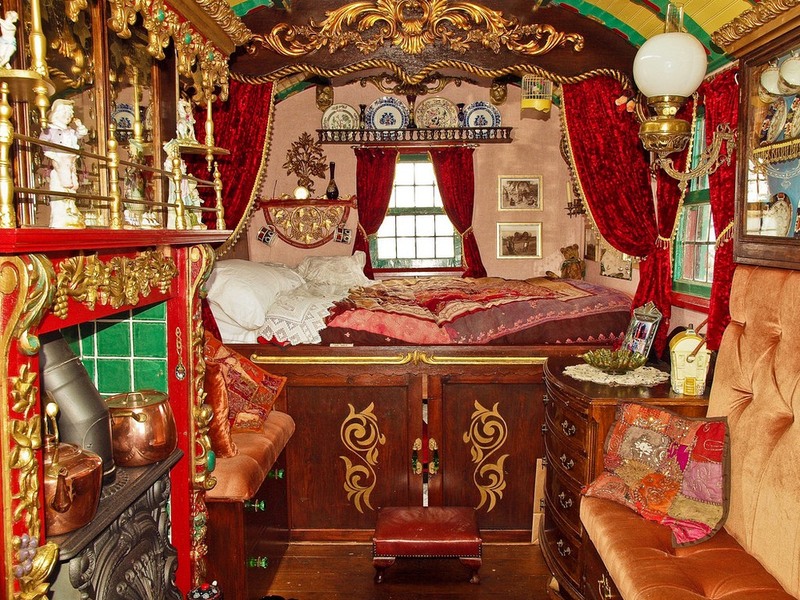 Indeed, few Gypsies actually slept in them, preferring instead to sleep in tents or beneath the wagon itself. “They also lacked sentiment in times of need, having no hesitation in selling them or 'chopping' (exchanging) them for something else,” writes historian Janet Keet-Black. 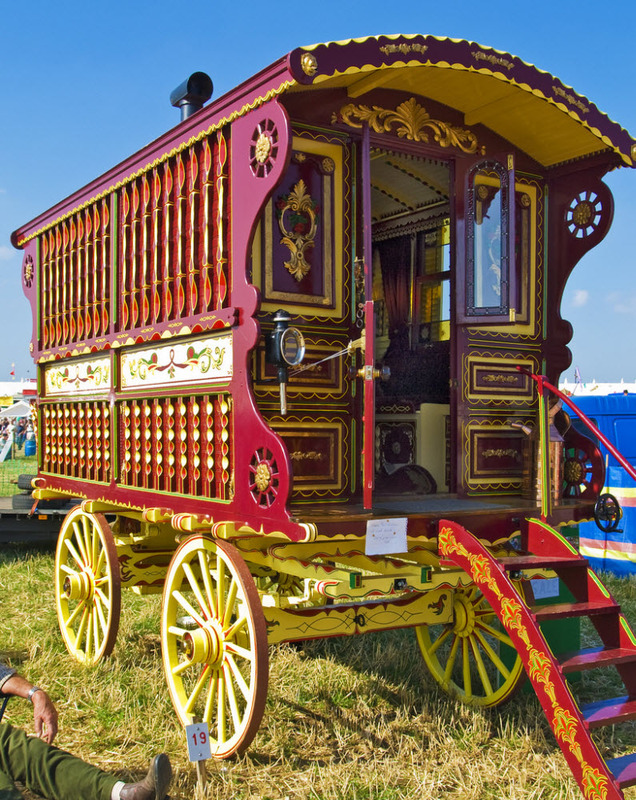 Yet, when the owner died it was the custom to burn all his belongings, including the vardo, for the Romanis believed that a dead person’s possessions should not be sold. Money and jewellery, however, was left to the family. Vardos proliferated in the late 19th and early 20th century. 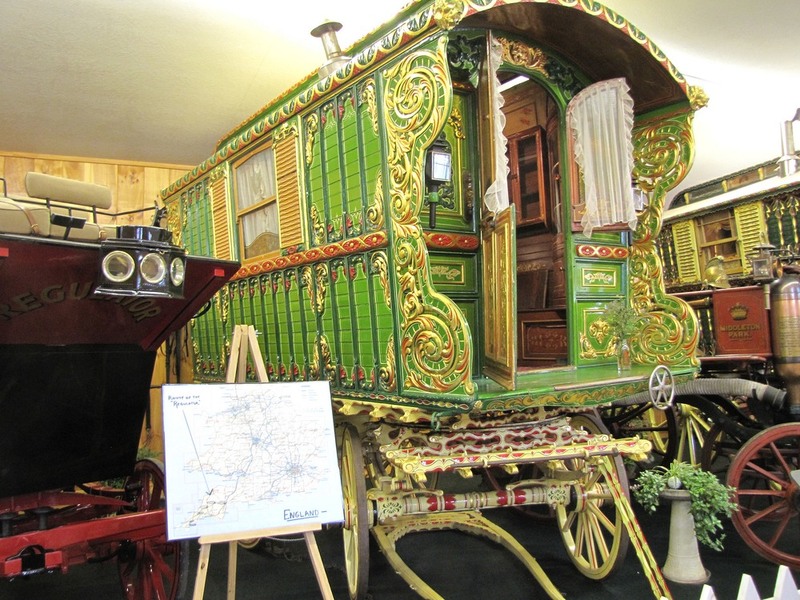 This period is often affectionately called “the wagon time” by Romanichal travellers. 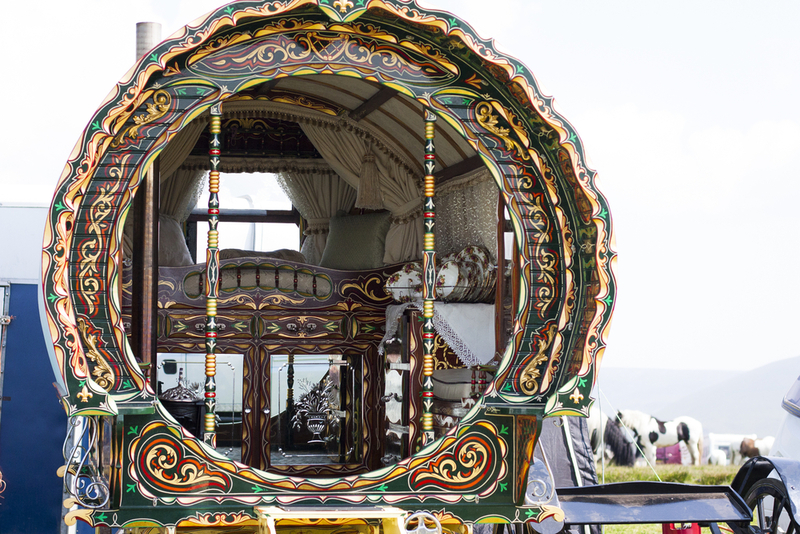 The wagon time lasted some 70 years, when a combination of economic factors and social upheaval, not to mention the First World War, brought the practice to an end. Today, there are only a few original vardos in existence, mostly in museums and in the hands of private collectors. 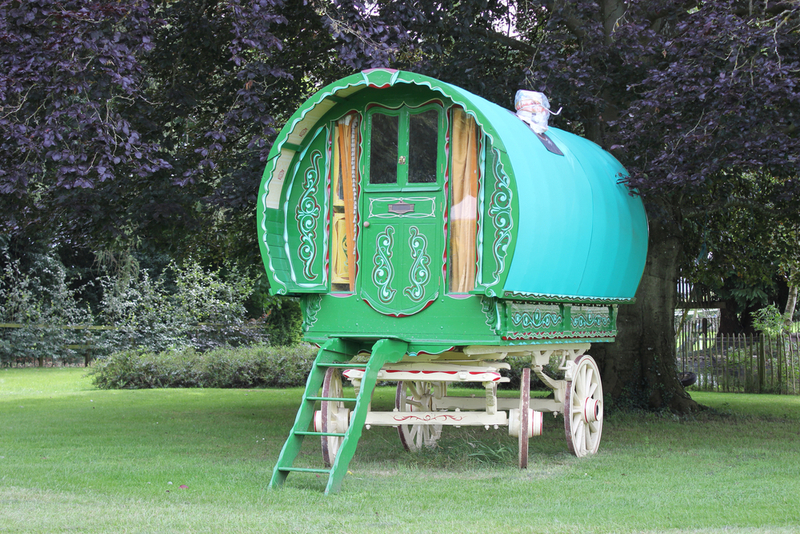 Vardos are categorized into six main styles—Brush wagon, Reading, Ledge, Bow Top, Open lot, and Burton. The general design evolved over time and were named after the home's owners, for their traditional style (Ledge), for the town of its construction (Reading), or for the name of the builder.